Offal may not be for the faint of heart but it is considered a delicacy in most Asian cuisines. For me, I love the different textures of each organ and their savoury flavour. 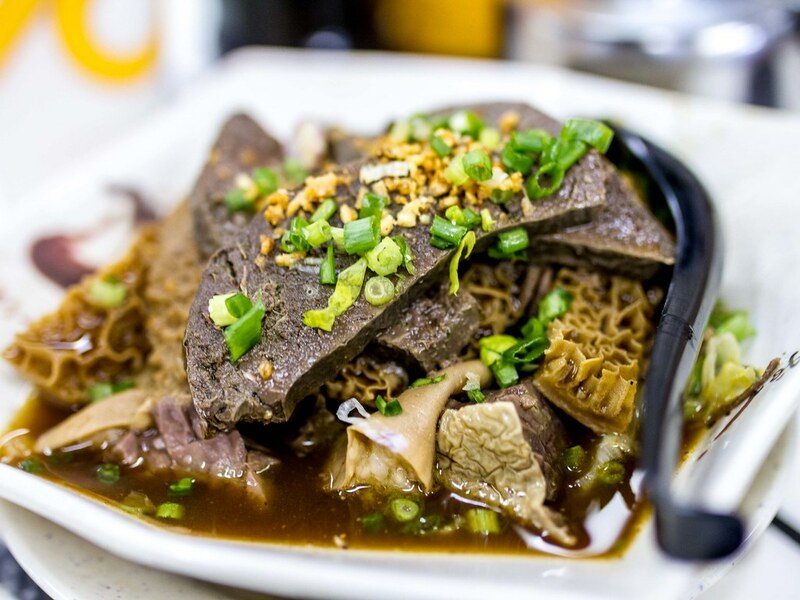 In Hong Kong, Beef Offal noodles is a classic street dish. Whenever The Hubby visited his grandparents in Hong Kong, they brought him to eat at Hop Hing Noodle Ka in Kwun Tong. 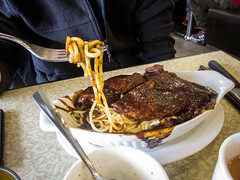 Since The Hubby’s last visit, Hop Hing Noodle Ka had moved from their original street location to a larger, cleaner space. 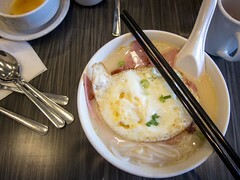 The original hole-in-the-wall restaurant spilled out into the street and diners slurped up hot noodles in the Hong Kong heat. The new space was still cramped with tables and mismatched stools but there was air conditioning, a major upgrade. 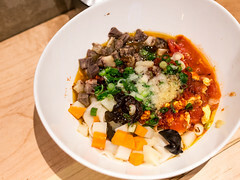 The Hubby and I both ordered the beef offal noodles while his parents ordered a bowl of just the offal. Our bowls came with lung, tripe, spleen, and miscellaneous other organs (o_o), in a savoury beef broth with fat rice noodles. 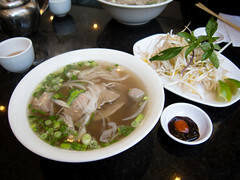 Each piece of meat was savoury, unique and a great chewy but soft consistency. I was also amazed with the portions. 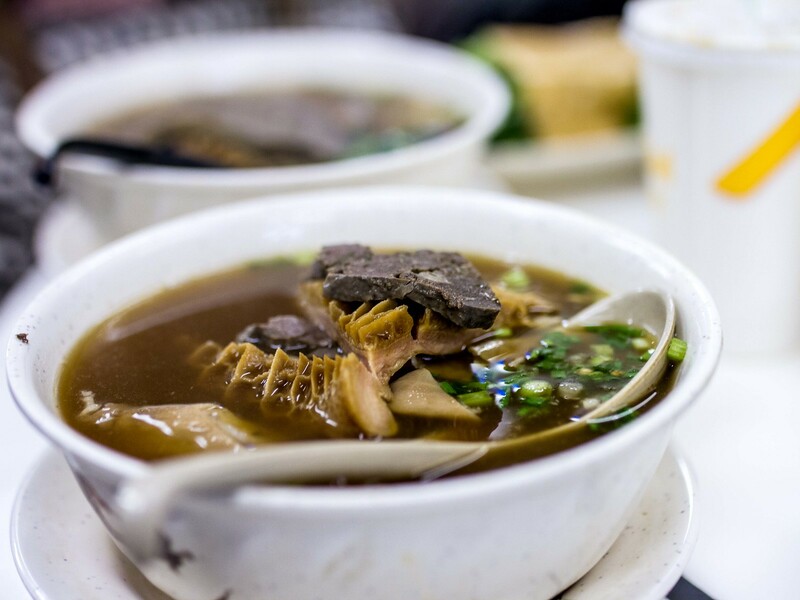 Usually in Toronto, an order of offal at dim sum was a small bowl, with no guarantee of what would be scooped up. Hop Hing Noodle Ka layered on the pieces. 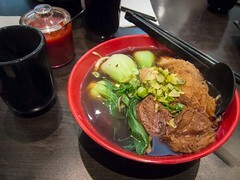 For those less adventurous, Hop Hing Noodle Ka also offers up beef brisket, wonton and fish ball noodles. 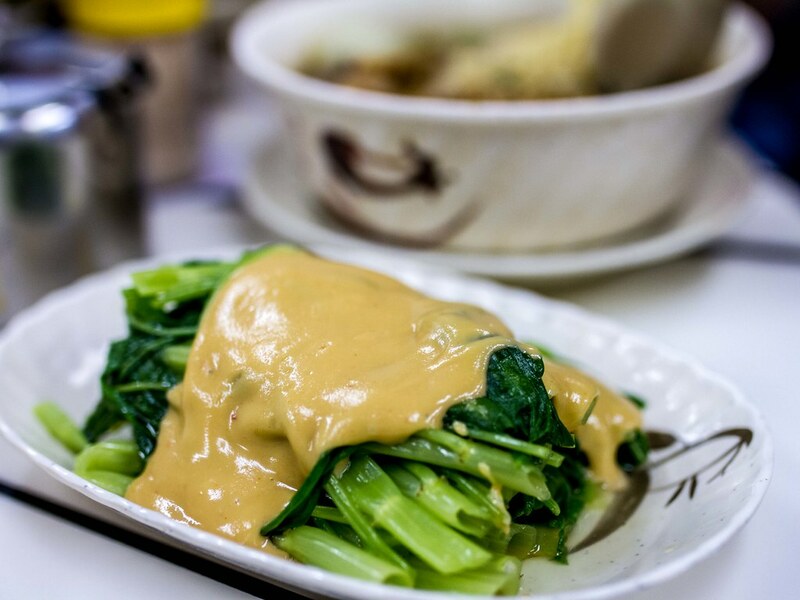 I would still highly recommend trying offal, or at least splitting a bowl, paired with a plate of Ong Choy (Kong Xin Cai, 空心菜 or water spinach) covered in a sauce of fermented tofu.